Contrary to popular belief, Cinco de Mayo is not Mexico's independence day. Cinco de Mayo commemorates the Mexican army's unlikely victory over the French forces of Napoleon III on May 5, 1862, at the Battle of Puebla. 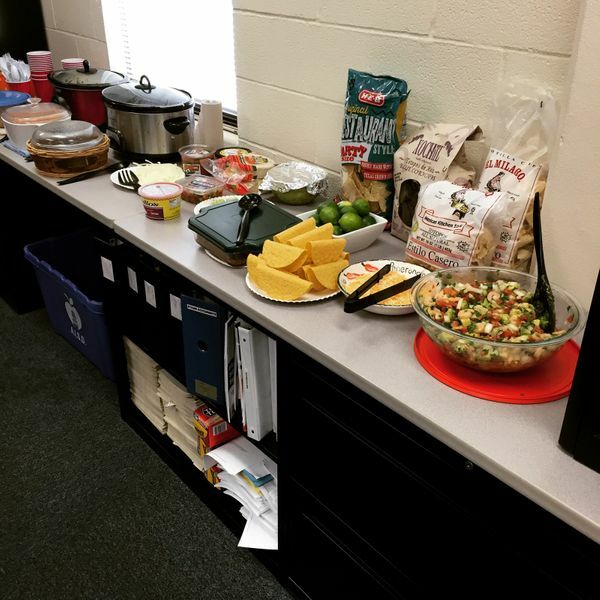 This picture is of the potluck lunch we held in the main office. The smell was so wonderful that teachers were coming from the teachers lounge to see what was going on in the office.